'Herbstsonne', stunning deep colours evoking the longer shadows and rich harvest of autumn, orange and dark blue with gradual colour transition. 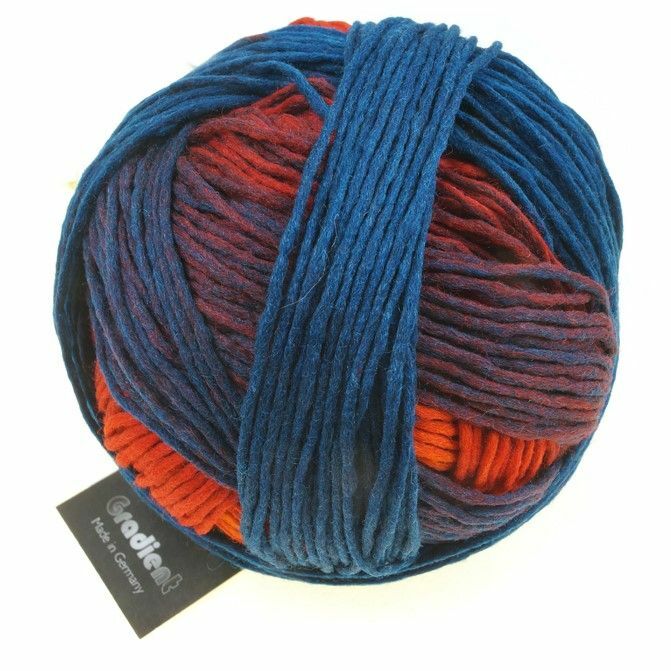 Fine pure merino wool with a lovely slow transition dye effect in fabulous colours, spun using Schoppel-Wolle's unique Reggae felting technology to give a light and airy yarn with a delightful texture, knits as DK to aran. The long colour repeat means GRADIENT is particularly suitable for dramatic shawls and larger garments (about 400g needed for a plain sweater, size 12).